DIY design expert Kristan Cunningham provides home entertaining tips on THE TALK as part of the show’s “Redo You” series, Wednesday, August 8, 2012. 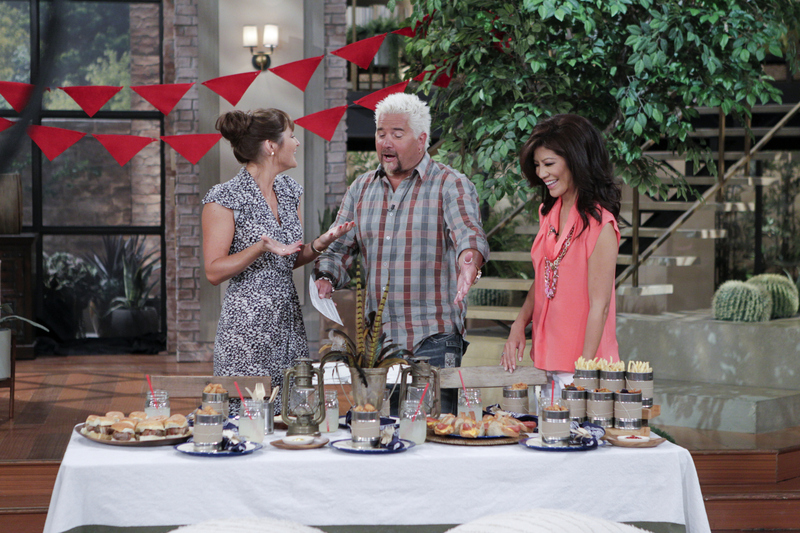 Kristan Cunningham, from left, Guy Fieri and Julie Chen, shown. Photo: Cliff Lipson/CBS ©2012 CBS Broadcasting, Inc. All Rights Reserved.